UPSEE BHMCT Admit Card 2019 released: APJ Abdul Kalam Technical University has shared the Admit Cards for UPSEE BHMCT 2019. 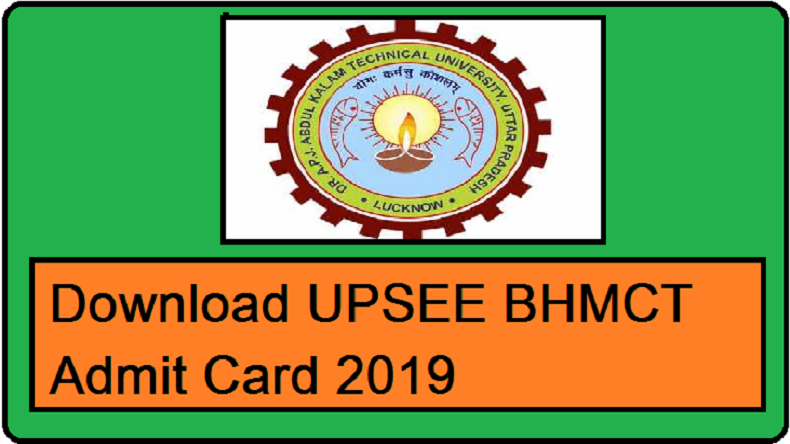 Follow the simple steps mentioned below to check and download the UPSEE BHMCT admit card 2019. UPSEE BHMCT Admit Card 2019: Dr APJ Abdul Kalam Technical University has released the hall tickets for Uttar Pradesh State Entrance Examination (UPSEE) Bachelor of Hotel Management and Catering Technology (BHMCT) 2019 examination. The candidates who have applied the for the UPSEE BHMCT 2019 examination can check and download their UPSEE BHMCT 2019 admit card from official UPSEE’s official website @ upsee.nic.in. The conducting body of the examination will conduct the examination on April 21, 2019, and the admit cards for the UPSEE BHMCT 2019 are available for download till the date of examination. Step 2: On the homepage, click on the link that reads admit cards. Step 3: Enter the login details. Step 4: Download and print the admit card. Just like other examinations, UPSEE BHMCT admit card 2019 will have the details like- Candidates name, application number, a signed photograph, examination details such as exam centre address, student reporting time, the duration of each exam, category, sub-category, gender, subjects and the instructions to be followed on the day of the exam . The candidates are required to carry their UPSEE BHMCT admit card 2019 during the counselling process and the examination. The candidates are advised to keep more than one copy of the UPSEE BHMCT admit card 2019 to be on the safer side. The UPSEE BHMCT 2019 exam will be held on April 21, 2019 and the results are expected to be declared in the last week of May 2019. The candidates must check UPSEE’s official website @ upsee.nic.in on a regular basis or they can follow the NewsX.com to get all the latest updates about jobs, result, admits cards and exam related news.